Travelling through the countryside of Brazil, one cannot escape the beauty of its rich vegetation and the hospitality of its people. It is this warmth that inspired us to name this duet “Terra Rossa”. The name refers to the reddish earth that provides for the captivating beauty of this country. Found in Brazil, the tourmalines used in this duet are of exceptional quality and size. Finding them in the djungle was as exhilerating as its pyroelectric properties might suggest. 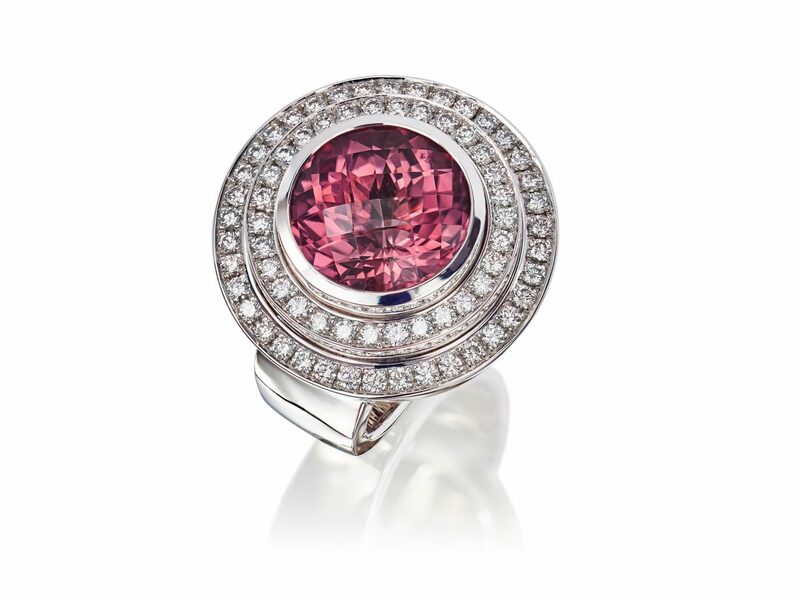 The beauty of tourmaline was not lost on the world after its discovery by Francisco Spinoza in 1554. 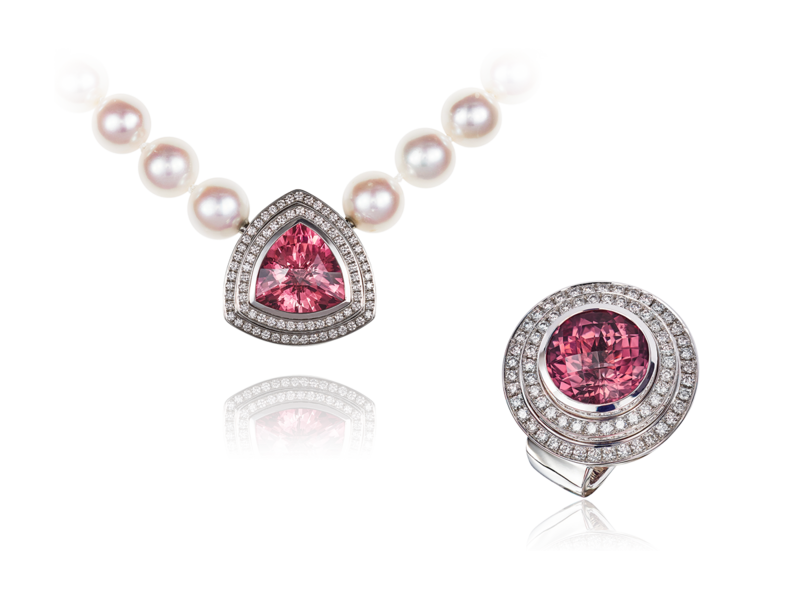 The Chinese Dowager Empress Tz’u Hsi was especially fond of its red colors and had it shipped to the other end of the world. 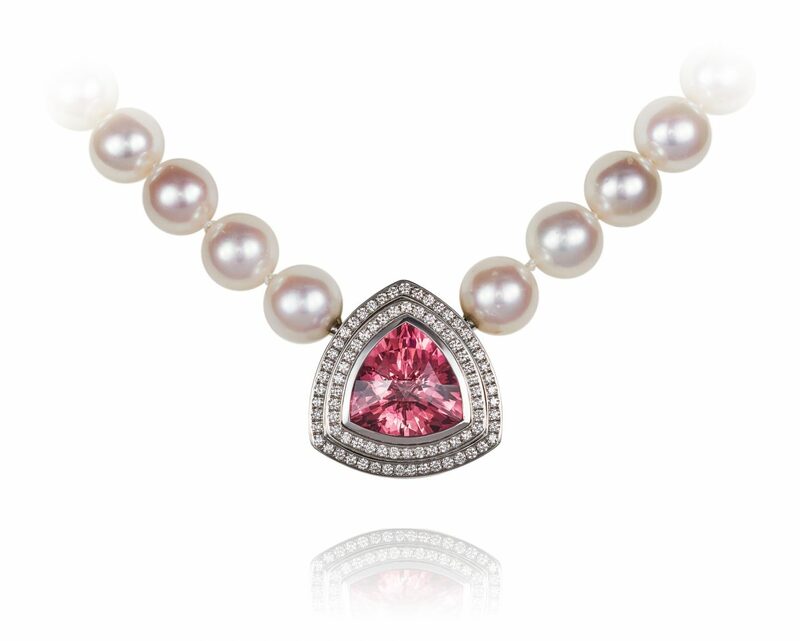 This piece is adorned by fresh water pearls, symbolizing the voyage accross the seas.